I hadn’t heard of Luke Romyn until I first started using Twitter. 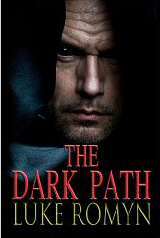 I checked out his website then the reviews on Amazon and as a horror fan I knew I had to download his book, The Dark Path. I wasn’t disappointed. It hooked me in from the start and kept me turning the page. I liked the supernatural aspect and the fact that somehow, you’re made to care for the ‘villian’, Vain. You’d never think it possible after the horrible things he does at the start of the story but by the end, you’re wanting him to win and wanting him to find himself again. It takes you through a range of emotions, one of them being complete and utter sadness. I actually cried when I found out why Vain had turned evil. I’m now reading Beyond Hades by the same author and again, I’ve been hooked; I’m on the first chapter and I can’t wait to get the kids in bed tonight to read some more!